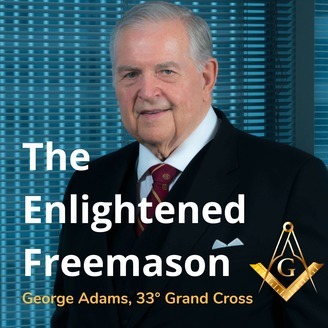 In this episode, George speaks with Illustrious Brother Andre Salmon, 33rd degree about "Philosophical and Spiritual Awakening" as it relates to Freemasonry. Ill. brother Andre was educated in France with an A.B.A and M.A. degrees, leading to the equivalent of a PhD in English and Linguistics. He served as an officer in the French Air Force for two years and at the World Bank in Washington, DC for 22 years as its Principal General Educator in charge of Education Project Development in the poorest countries of Africa, the Middle East, Latin America and Southeast Asia. Illustrious Brother Andre is a 33rd degree Scottish rite freemason, a York rite mason, a Cryptic mason, a Knight Templar and a Knight of the Royal Order of Scotland. Ill. Bro Andre served as Worshipful Master of La France Lodge in 1993, Orator of Benjamin B. French Lodge in Washington DC and as Orator of Adobe Lodge in Tucson, Arizona. Ill.Bro. 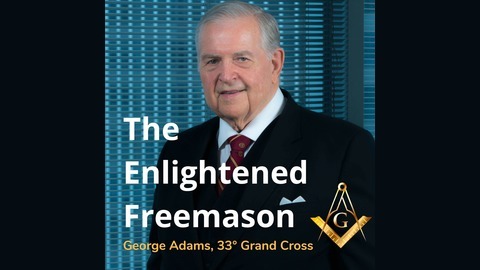 Andre belongs to The Pythagoras Lodge of Research, The Scottish Rite Research Society and The Maryland Masonic Research Society where he received its revered "Thomas E. Weir Memorial Award in 2002. I had the privilege of appointing Ill. Brother Andre as Dean of the College of Philosophy and Esoteric Studies of the AASR in Washington, DC.